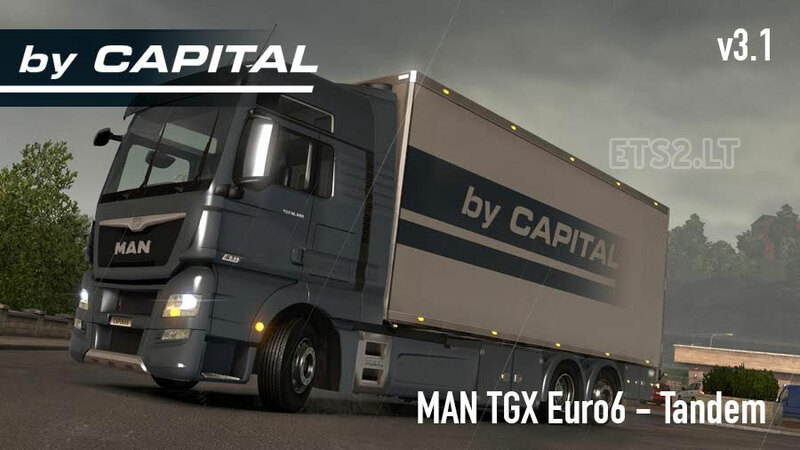 This mod adds tandem chassis for the MAN TGX Euro6. 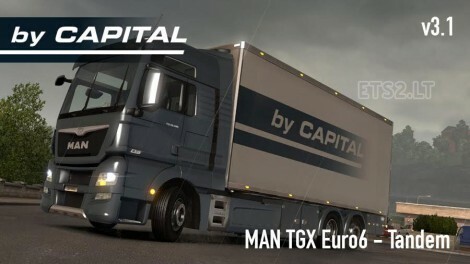 You must have the MAN TGX Euro6 mod activated for this mod to work. This mod comes with five tandem chassis for the MAN TGX Euro6 by MADster. 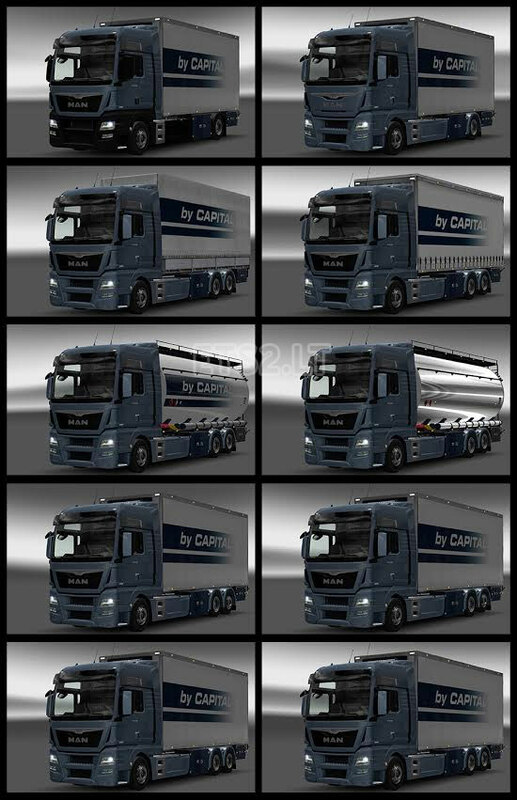 Available tandem boxes are the same as in Flemming V’s BDF Tandem Truck Pack. Please don’t reupload and do respect the credits. thanks for this truck, I hope it gets even 50k. I wanted to report a small problem on RJL: impossible to drive from inside the cabin, for the rest tested all pack jazzycat and many other mod works perfectly.